It was August last year when we received an inquiry which led to the biggest movie project we have had so far. 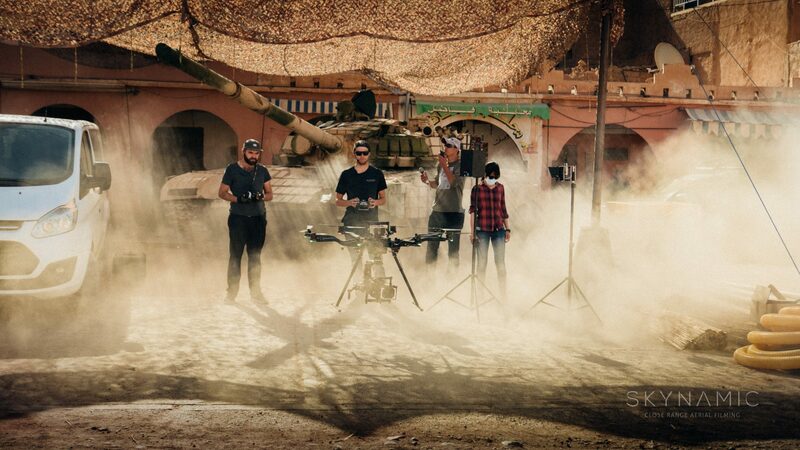 It was an invitation to come to Morocco for a several month feature film shoot “Operation RED SEA” in Casablanca, Marrakech, Ouarzazate and the Sahara desert. 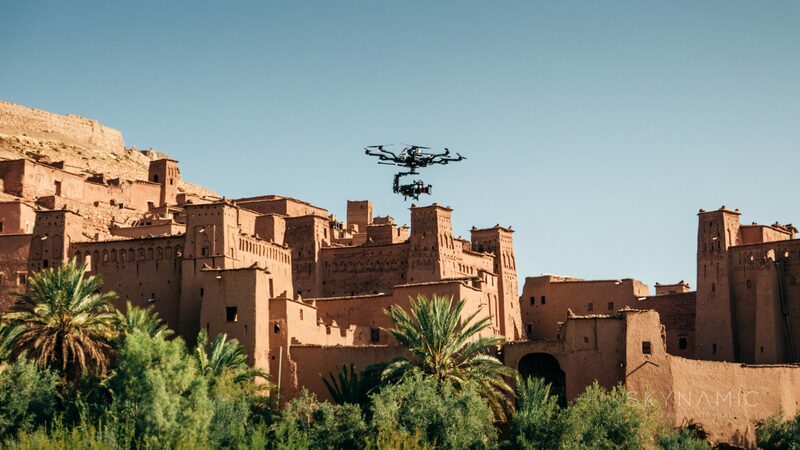 Half year later we packed our equipment together, stuffed our cinema drone, Arri Alexa Mini camera and our Angenieux Zoom lens in the box and flew over to Morocco capital city Rabat. 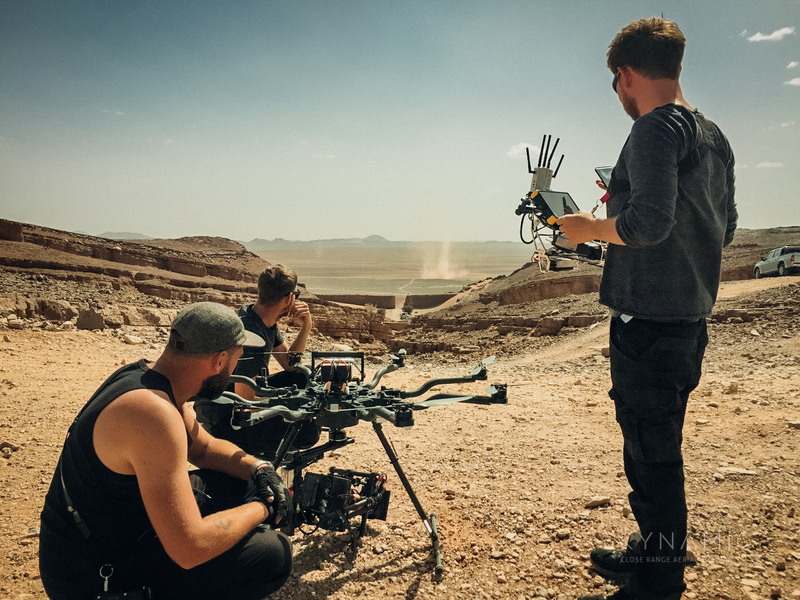 We also brought the Arri WCU4 remote in order to be as flexible as possible as we knew that the film would be an action movie and requires a high flexibility for the image as a lot of car stunts, explosion and car chase would take place. We ended up with a team of three, bringing our own camera assistant from Germany. The production we worked with, was one of Chinas biggest and most ambitious with the widely known director Dante Lam. 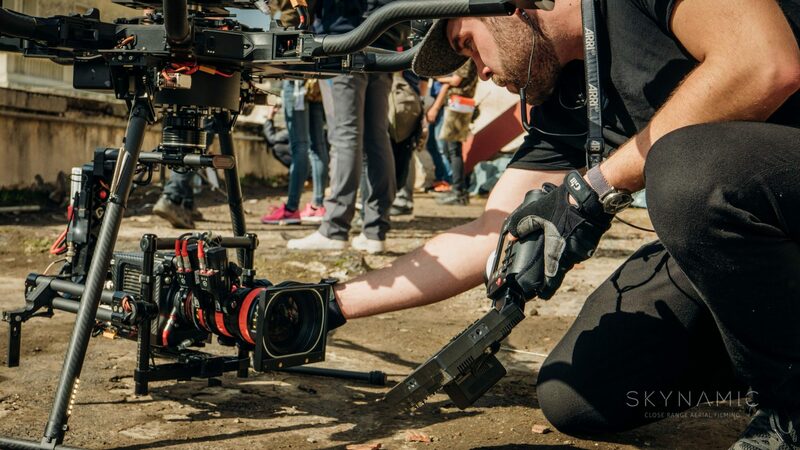 They used Alexa and RED cameras throughout the whole shoot. 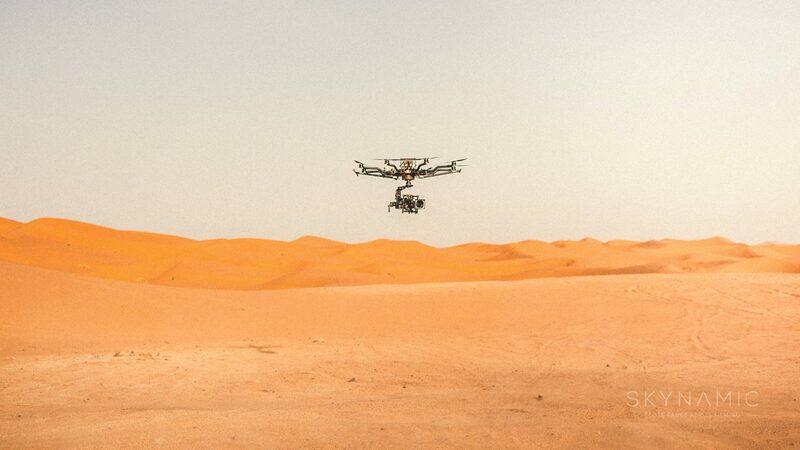 So they wanted an Alexa Mini drone in order to maintain their own quality standard. 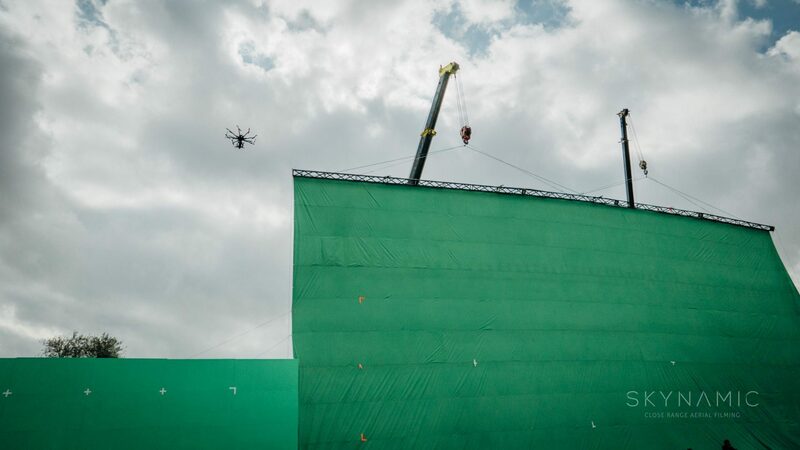 Filming started with an interesting scene with 700 extras on site so it was a quite crowded place to fly in. Next stops were action scenes with explosions inside Casablanca. That constant change of scenery and different tasks was at some point quite challenging and diverse. 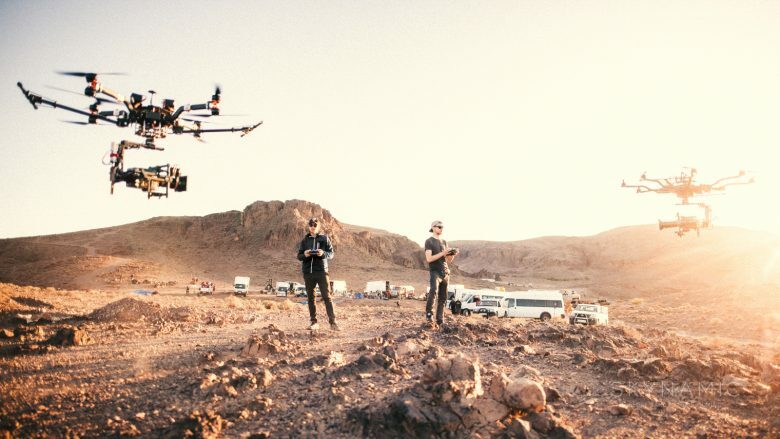 We shot a slow convoy in the morning where we used precise aerial movements and the next scene the drone needed to be fast and agile to cover a car chase. For the moroccan people in Casablanca, the Hassan Mosque is the most important religious building. It is something very special if you are allowed to film it. Only a few major film productions were allowed to record it and use it in the movie. 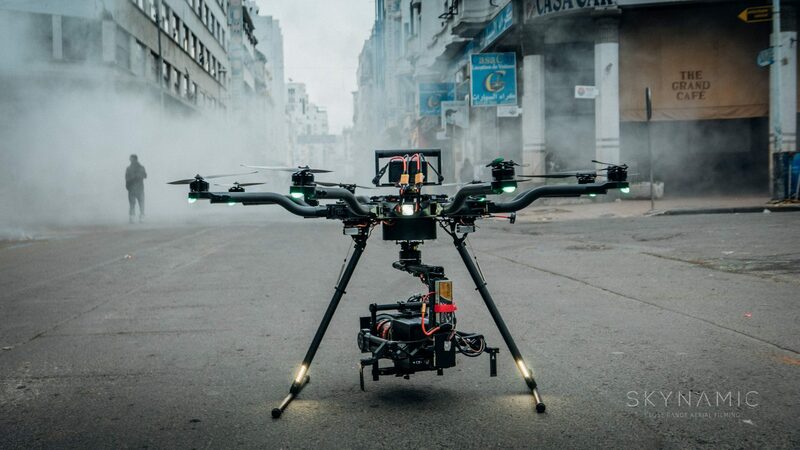 We had the chance to film it as an establisher aerial, which was a huge deal back then. Lens wise we were happy to have our Angenieux Optimo DP 16-42mm cinema lens with us as the Angenieux could be seamless intercut with the cinema glass from Cooke and Master Prime lenses from the production.Working with it is so flexible and fast, you have the most important focal lengths combined in one lens. 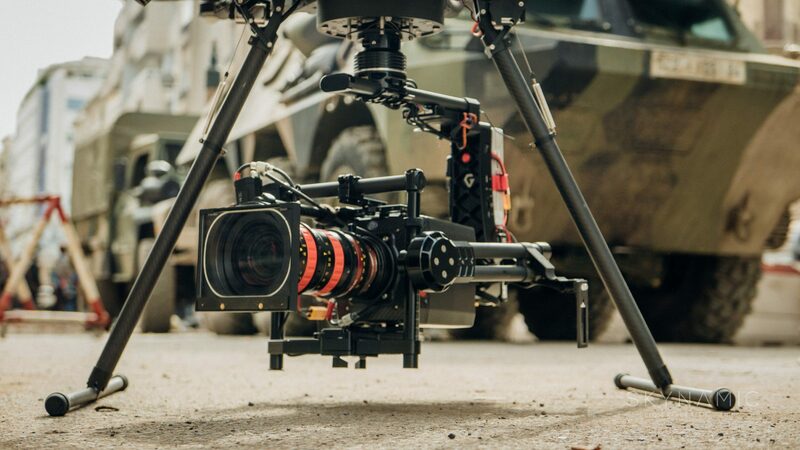 Beside the the 16-42mm we also flew the productions 30-80mm Angenieux. 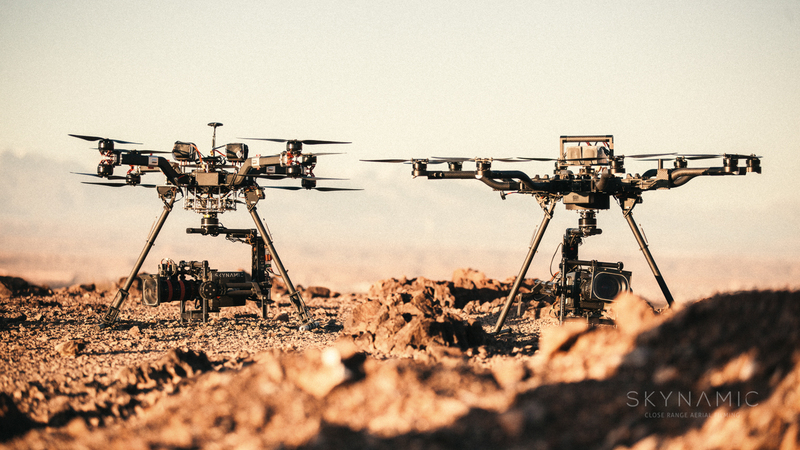 Thanks to our custom built stabilization system, even the tele-zoom worked like a charm. Although the Zooms are comparably heavy, it works out in the end as you benefit from the time efficient filming. 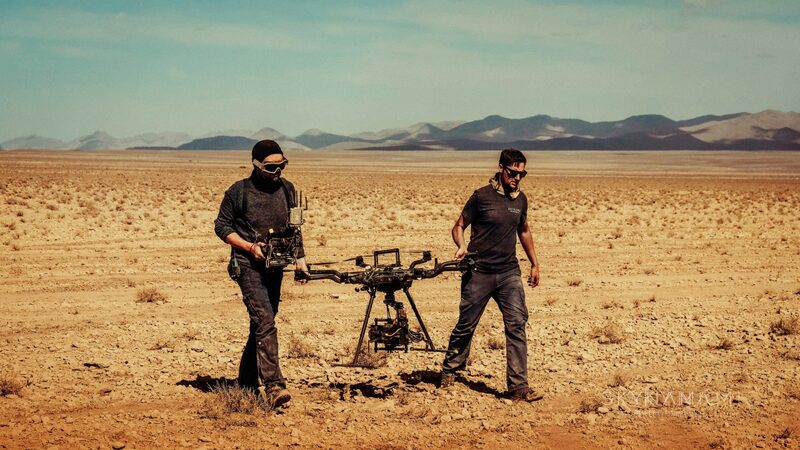 Even the service production said, we were the only professional drone team to film with such a heavy setup, they were used to DSLR copter systems with Sony A7s or Panasonic GH5. 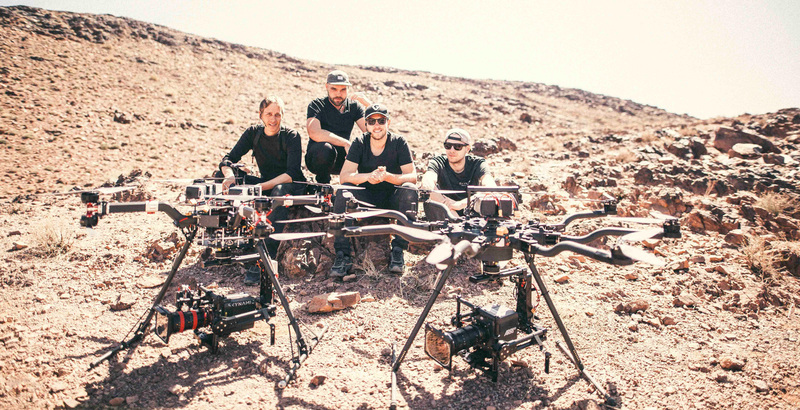 At one time when we moved to the city Ouarzazate, which is located near the desert, production wanted another professional drone team to cover several explosions and stunts at the same time. 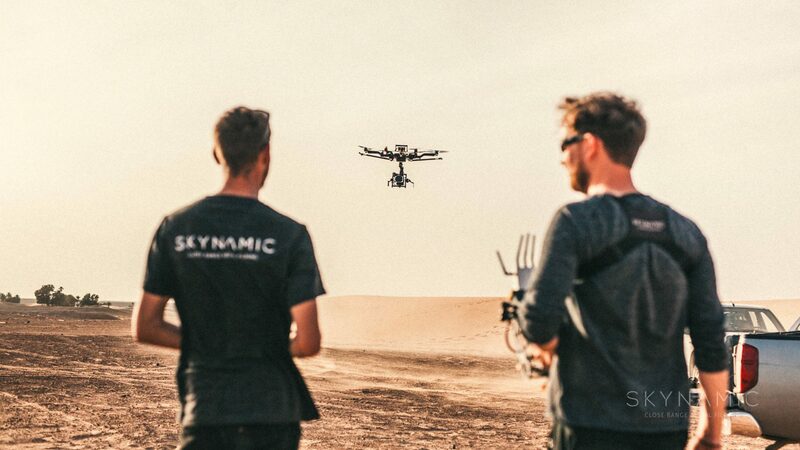 So we brought our second drone team from Germany with us and flew with two drones simultaneously, that changed the game quite significantly as you need a lot more coordination while in air. In the end it all worked out and we got all the scenes covered. 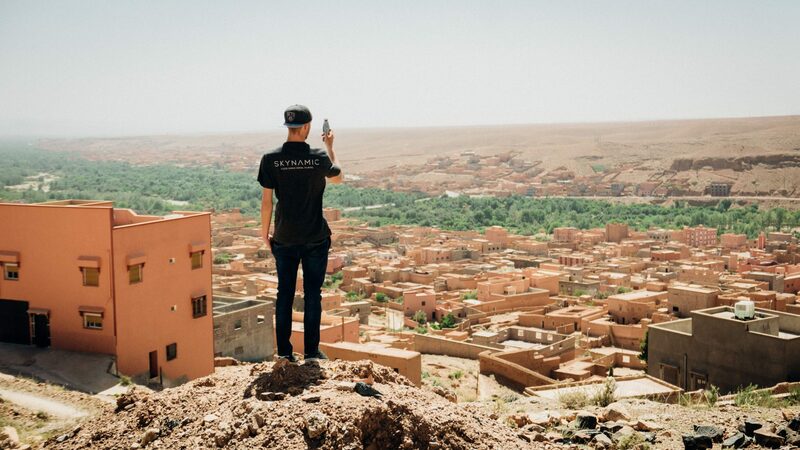 As a professional drone team with offices in Frankfurt, Berlin and Barcelona, we already worked worldwide but Morocco really left a mark. 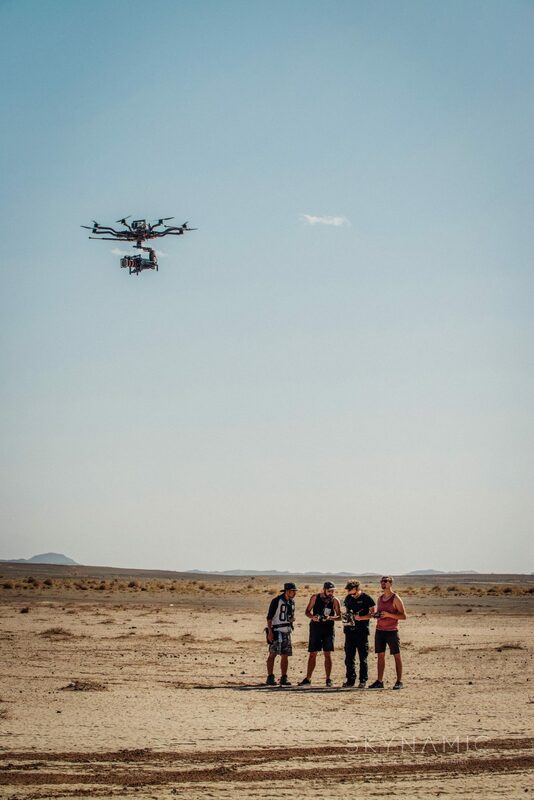 Never had our Alexa Mini copter so much work to do in such a beautiful country. We hope to visit this beautiful country soon but now we are excited for the release of the feature film that shows this place in the best way possible.